When it comes to Honolulu condominium sales, Ala Moana and Kaka‘ako remain king. That’s according to a new report that compares housing trends in neighborhoods across Oahu. HPR’s Molly Solomon explains. The report, issued by the Honolulu Board of Realtors, found that condo sales in Ala Moana and Kaka‘ako were particularly strong last month. Compared to June of last year, sales for units rose by 42 percent. And the median sales price jumped nearly $300,000 —a 71 percent increase. 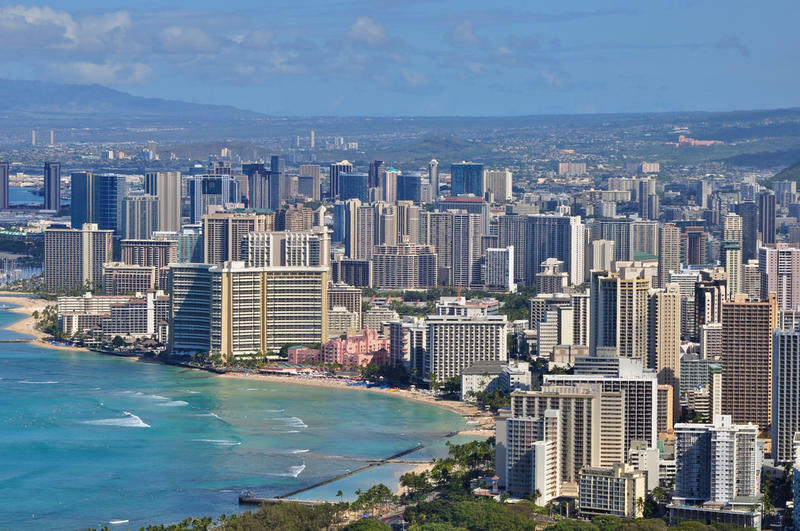 “For the condo market in general, Kaka‘ako really led the way,” said Kalama Kim, a realtor with Coldwell Banker Pacific Properties and the President of the Honolulu Board of Realtors. He explained that the continued development in Kaka‘ako hasn’t slowed buyers. The report also revealed that condos in Kaka‘ako spent more days on the market. Last June, the average was 18 days, on par with past years for Honolulu. This time, it was 56. But Kim said, with sale prices increasing, that’s not necessarily a bad thing. He thinks the longer wait period on the market is largely due to more choices in the area. Earlier this year, a report from the University of Hawaii Economic Research Organization projected median Oahu home prices will set new records this year just shy of $400,000 for condos and close to $750,000 for single-family homes. 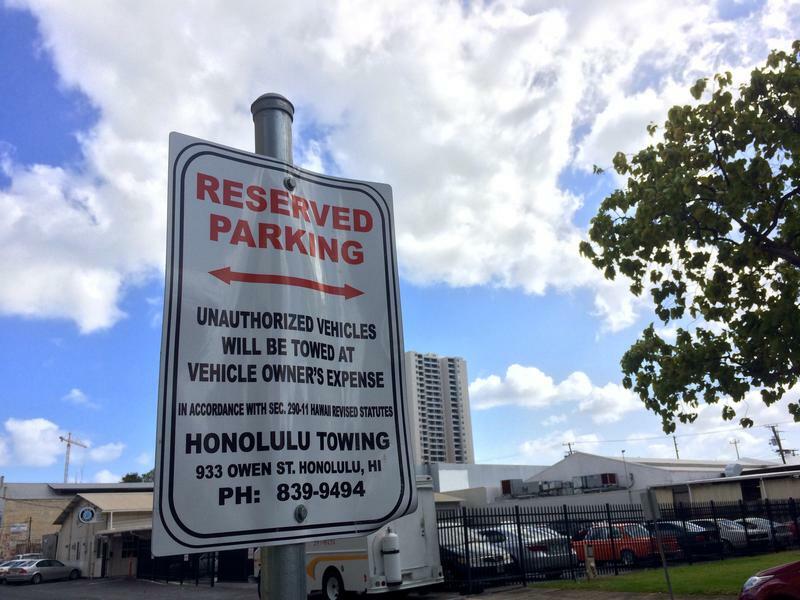 Roads in Limbo: Who Owns The Streets in Kakaako? 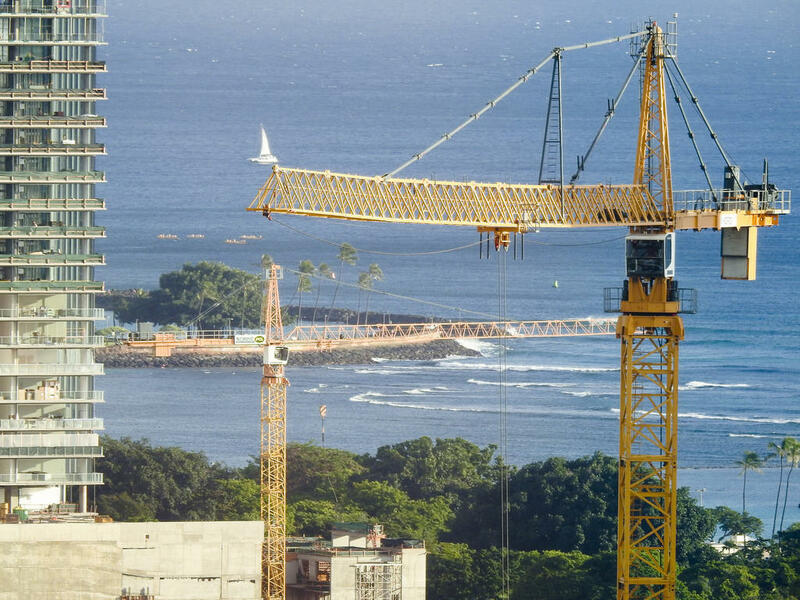 With several high-rise condominiums on the way, Kaka‘ako is a place in transition. As many as 30,000 new residents are expected to move in to the developing area over the next 15 years, with Honolulu’s rail project running right through the neighborhood. But there’s a problem with one basic piece of infrastructure: its roads. HPR’s Molly Solomon reports. The high cost of housing in Hawai’i is a challenge for local employers who must recruit and retain workers. That was the topic of a panel discussion today sponsored by the Building Industry Association and Chamber of Commerce. HPR’s Wayne Yoshioka reports.